The church in the West is at a crossroads. Beset on every side by dangers from the outside (political and social pressure) and dangers on the inside (immorality, legalism, heresy, etc. ), it’s become increasingly clear that we cannot remain where we are and be faithful to Jesus, let alone be effective. If you’re the person arguing that the church in the West needs to stay the same, you are in a small minority. But how do we change? And what kind of change are we looking for? The discussion typically focuses on two alternatives: A return to more conservative, evangelical Christianity typified by Billy Graham (but possibly with a more Charismatic element) or a move to liberal Christianity typified by Rob Bell or Jim Wallis that is often more acceptable to society as a whole. Frank Viola and others have argued that there is a third way, focused solely on the person of Jesus that leaves the left and right debate behind. And while I think there is a trap in some of the left vs. right thinking, I would like to argue that there is actually another way available to us. Instead of going left, right, or beyond, we have the option of going back. Going back, you ask? Go back to what? The answer is to go back to the original design Jesus has for His church. The design is not complicated, it is not hidden, but it is often neglected. When we return to Christ and His original design for His church, powerful things begin to happen, both in our lives and the lives of those around us. The good news is this design isn’t lost to history or buried in some Roman catacomb beneath a thousand years worth of rubble- It’s found on the pages of a book in nearly everyone’s home and latent within the hearts of those who believe in Jesus. The answer God has for us is to go back to the movement Jesus started when He was raised from dead. This design for God’s church is what I call “apostolic Christianity.” Apostolic Christianity is Christianity lived out on the earth in the same spirit as the first century church. This is the goal- to live out a kind of Christianity the apostles Peter and Paul would recognize where they to meet us. We can never completely return to the first century, but we can be captured by the same Spirit that captured the first followers of Jesus. The culture of our churches should reflect the same vision and values that the church in the book of Acts held. You should note that apostolic Christianity is not about a person or even a spiritual gift. It’s about a people radically set apart as belonging to God, living sent lives under the power of the Holy Spirit. The goal of apostolic Christianity is to become a church “attain[ing] to the unity of the faith and of the knowledge of the Son of God, to mature manhood, to the measure of the stature of the fullness of Christ” (Ephesians 4:13). It’s the church becoming a bride who has “made herself ready” (Revelation 19:7) and presented to Christ “without spot or wrinkle” (Ephesians 5:27). It’s this type of Christianity that Jude references when he says to his readers “I found it necessary to…appeal to you to contend for the faith that was once for all delivered to the saints” (Jude 3). It’s this type of Christianity that the Earth longs to see again. Today, I’m calling believers to do what Jude admonished us all to do: live and love and serve and pray in a manner that is not just Christian discipline but contends for the apostolic faith. We must wrestle for the true faith handed down to the apostles to emerge again in our day. We must believe that apostolic Christianity is available to us and walk in faith to see it restored. One of the hardest things to ever deal with our expectations. People are constantly forming expectations–sometimes they recognize them, other times they don’t. But one of the things I’ve come to realize over the past couple of years is that it’s important to tell folks what they can and should expect from you and what they shouldn’t, otherwise people will consciously or unconsciously make expectations and you will disappoint them. 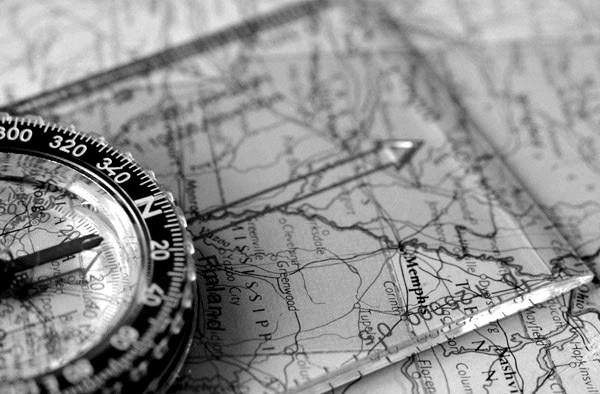 Maps are helpful in this way because they help people to know what’s coming up in front of them. Weekly or twice weekly writing, instead of daily posts (unless there are 30 generous patrons out there who would like to sponsor daily blogging at $10/per post). More of a focus on Jesus and the Church He is forming for the end of the age. If you haven’t caught on by now, this isn’t your typical general-audience Christian blog. My blog is devoted to preparing the Church for the harvest and the end of the age. I believe before the return of Jesus, the gospel of the Kingdom of Heaven is going to be proclaimed in every nation on the planet and there will be a great harvest of souls unlike anything we’ve seen. I also believe there will be an outpouring of the Holy Spirit unlike anything the church has ever seen. These shifts will require the church to be simpler, reproducible, and organic and for her to a revelation of Jesus at a deep level. I call these shifts “apostolic Christianity. And its these ideas that keep me writing and posting. So the map for the blog going forward will look different than the last 45 days. I hope to post a four part series about the nature of apostolic Christianity- what is is, how you recognize it, and why it’s important. The next series after that will be a look at the life of Dietrich Bonhoeffer, a Christian who resisted the Nazis and helped form an underground church in the midst of World War II. Finally, I hope this year to get to spend some time talking about the book “The Starfish and the Spider” and how it relates to planting reproducing churches at the end of the age. And in between those times, you’ll probably see a post here or there that some how ties in to the posts you find on my Top 10 page. Follow Me on Twitter. I’m pretty active there. If you’re a regular reader, message me so I can let the rest of my followers know that you’re a person to follow. Subscribe to the Blog. Either by email or by rss feed. You can check out more details on subscribing by RSS feed here or you can hit the “Sign Me Up” button on the right side of this screen to subscribe by email. Finally, send me an email and let me know your thoughts about the blog so far. I love getting emails from readers. One of the most misunderstood aspects of the church as God designed it is the place of the five-fold ministry. God has designed the body of Christ so that it builds itself up in love. An important part of that process is mature five-fold gifts functioning in and amongst the body of Christ in a mature way. But many have misunderstood the purpose and functions of different aspects of these gifts. Because of the importance of these ministries, I’ve assembled some of the best posts on the five-fold ministry that I’ve found on various blogs. These are written by men and women with experience with people who have functioned in these gifts. These are my top five posts. Feel free to leave a link to your favorite post on this topic in the comment section. Felicity gives us a great post to introduce us to the idea of the five-fold ministry and right off the bat she combats the major misconceptions about these gifts God gives the church. This is a short post but many people miss the profound implications that are found within it. Len’s thoughts on a quote from An Ethic for Christians and Other Aliens in a Strange Land don’t directly mention the five-fold ministry. But he does touch on an interesting idea: The Kingdom of God is extended by Jesus as He gives these gifts to the church for the world. Read on to see more. 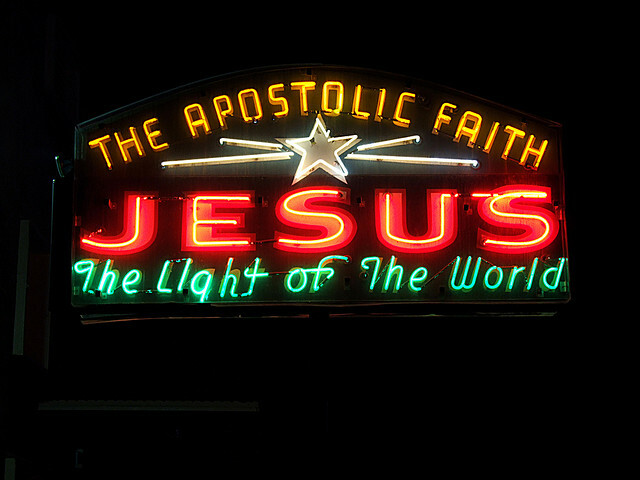 Apostolic Leaders, Churches, and Five-Fold Ministries by Bob Robers Jr. I love this post by Bob Roberts. Bob really brings a very balanced perspective to the whole issue of the five-fold ministry. I love that his insights are born out of his work in the non-Western world and I’m greatly encouraged on his emphasis on the whole church becoming apostolic, and not just one man. Mike does a great job in this post of describing what a missional community will look like if it is lead by each of the five-fold ministries. While not entirely the same as a house church, I’ve noticed similar group dynamics in house churches led by each of these different ministry gifts. You may learn a few things about why you lead your house church the way you do from this post. Last but not least, this post is extremely helpful because it identifies characteristics of immature people with five-fold giftings. Many times we reject five-fold minstries because of our negative experiences with the immature versions of five-fold ministries. This frank discussion about the downside of immature five-fold ministries will help those who have had negative experiences. It’s also really helpful to those maturing in these gifts because it highlights weaknesses they will need to address. Photo Credit: This image is a product of five pictures representing each of the five-fold ministries. 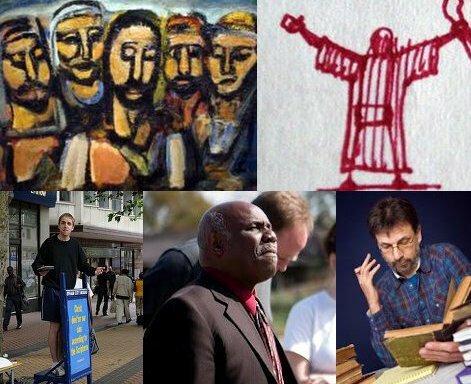 Thanks to Ben Sutherland for Rouault’s Christ and the Apostles, Phantom Leap for Seer, Boliston for Birmingham Street Preacher, Jake Liefer for Pastor Garrison, and Stock.XCHNG for Professor at Work. It’s no secret around here that I strongly believe in having all of the gifts described in Ephesians 4:7-11 functioning in a body of believers. To that end, I’ve developed a little test to help you, yes YOU, determine what your “five-fold” or APEST gifting is. Are you ready? If you are living on a mission from Jesus and fathering others…. you are a Christian. If you hear God’s voice well enough to declare it to others…. you are a Christian. If you love to tell lost people about Jesus and have success in making disciples…. you are a Christian. If you love and care for God’s people on an intimate level…. you are a Christian. If you know how to teach in a way that gives people understanding of Jesus and His purposes…. (Say it with me everyone!) you are a Christian. If you are equipping other believers to live on mission and father others….or if you are training other believers to hear God’s voice…or if you are equipping younger believers to reach their friends….or you are giving other believers the skills to care for hurting believers….or you are helping believers teach others….well….you get the idea. I’m incredibly excited to be reading Viral Jesus by Ross Rohde. For those of you who don’t know Ross, he has been blogging for almost two years about initiating Jesus movements similar to what God has done in the New Testament and in China. He’s also an organic church planter who has experience starting multiple house churches in places that are resistant to the gospel. Needless to say, he’s the kind of guy we like here at Pursuing Glory. 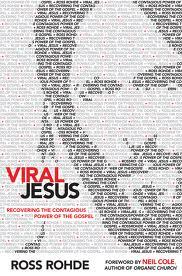 So to help get the word out about Ross’ book and promote some more discussion about spawning Jesus movements in the West, I’ve decided to give away a free copy of Viral Jesus here on the blog. Now most blog giveaways I’ve seen require you to subscribe to an email list, follow someone on Twitter, or follow you on your Facebook group. And while you’re welcome to get involved at a deeper level with what we’re doing here, we’re going to do this a bit differently. Discouraged. That’s one of the words that consistently describes my attitude toward Kingdom finances. The reason? I frequently see much of the money given in the name of Jesus used in ways that Jesus didn’t use money. And at the same time I see a number of legitimate people attempting to follow Jesus but lacking crucial funding that could amplify their substantial work. Somewhere there’s a disconnect when there are starving children in Africa America down the street* and we’re concerned because the carpet on the floor of a church building is wearing out. 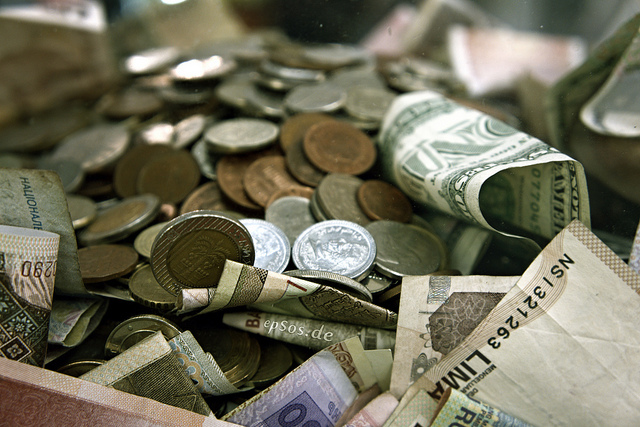 It’s a startling fact, but some statistics say 97% of money given in churches is spent on people who gave the money. This means that no matter how much we say we desire the lost to be saved, the hungry to be fed, and the nations to be reached with the Gospel, our money is not where our mouth is. Now I could spend a lot of time debating on the legitimacy of pastors’ salaries and church building budgets, but the truth is that buildings and salaries only consume about 60% percent of most churches’ budgets. My question is where does the other 37% go? My point in bringing all of this up is this: our giving tends to go right back to ourselves. We give and feel good about being sacrificial, but in reality we are consuming so much of what we give that no radical change takes place. Those who are strategically placed to significantly impact the world and extend the Kingdom of God often struggle with financing very real needs in spite of our overwhelming “generosity.” This is why no matter how much money we give, we fail to see significant Jesus movements take shape. This is nothing new. Whenever the church has found herself disconnected from her apostolic purpose, she has used her resources poorly, most often for herself. But God has a financial system that is designed to meet legitimate needs and fuel the Kingdom of God. Our part in the process is to stop using our resources poorly, get connected with the purposes of God, and begin to channel money towards people and ministries who are actively pursuing those things that are on God’s agenda. What if we put our money into the hands of people where God is powerfully manifesting His Kingdom right now? What would happen if we actually supported men and women who were raising up multiplying disciple-making movements in the earth? What would happen if we actually fully funded apostolic teams planting churches and reaching unreached people groups? What if those who were frequently engaged in caring for the poor or healing the sick through the workings of miracles never had to spend time writing another support letter? Would that be better than the new carpet? *Editor’s Note: Africa (especially) and America in general both have significant needs. By striking them from the record my goal is to show that need is nearby, not that one form of need is greater than another. For those who missed it, Andrew Jones of TallSkinnyKiwi fame wrote about the unseen financiers who supported the Protestant Reformation. Jones writes about different important “Kingdom Investors” who at various points gave significant amounts of money and resources to aid the spread of the Reformation. Reading the post, I was struck again by the need for a financial revolution that undergirds every genuine move of God. Wolfgang Simson will be the first person to tell you that much of what you’ve heard about money in church is wrong. We often teach about money in a way that causes us to put all of our hopes in non-Kingdom financial principles. However one thing that remains true is that all Empires (including the Kingdom of God, which is the empire we belong to) have a financial system in place to fund their activities. Not all money given to a church is used well, but that doesn’t mean that we can’t use our finances to further this Kingdom revolution. The truth is that all of us have a part to play in financing the advancement of the Kingdom. I remember reading Brother Yun’s book Living Waters where he described offerings that the Chinese house churches would take for members being sent off as missionaries. Some of the members of the house churches were so broken because they didn’t have money to contribute that as they wept, they would place themselves in the offering sack as pledge to devote their whole selves to the cause global evangelism. This is the kind of giving that moves forward the Kingdom: Financial giving that flows from a life fully given over to Jesus. That’s what makes the testimony of the early church so powerful. They were continually giving everything extra they had to the cause of Jesus and His Kingdom. This enabled the poor to be taken care of and the Gospel to continue to spread through the apostles and others. Today the Kingdom of God continues to spread, but it does so with little access to the funds that could so enable to spread quickly and without the financial sacrifice that is characteristic of an apostolic movement. So how do we finance a Kingdom revolution? It begins with giving our very selves to God and letting our finances reflect that level of sacrifice. 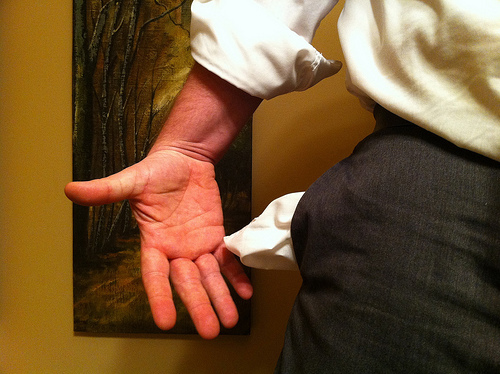 In our next post we’ll look at where those finances need to flow to. But today, let me ask you this question: What do you think holds us back from joining God in financing the advancement of the Kingdom?